Listening to and playing music have proven health and development benefits. Music activates parts of our brain that allow us to retain information more clearly as well as boost our mood. Learning and playing music also encourages discipline, focus, comprehension, problem-solving, and creative expression. Playing an instrument can help to boost confidence as well! And what better instrument to learn than one of the classics: the piano? Most songs can be arranged easily to be played on keys. If your little one is interested in getting started, take a look at some of our favorite pianos and keyboards for kids! In our continued effort to bring you the best-selling in most beloved items on the market, we’ve recently revamped this guide to weed out any low stock items or ones with sub-standard ratings. We have two new keyboards on our list for your little ones to enjoy this year. Check it out! Playing a musical instrument has been shown to benefit a certain type of cognitive development which can, in turn, lead to academic success. And what better instrument to begin with than a piano or keyboard? Our recently updated list contains some toys but others that are fitting for more serious pursuits. In addition, all product information such as size, power source, cost and availability, has been reviewed and verified as accurate. This keyboard has great features like automatic shut off, adjustable volume, 8 different instruments, touch-sensitive playmat, and is made from heavy-duty materials. It has 4 modes: play, record, playback, and demo. It has a 100% satisfaction guarantee so parents don’t have to worry if their kids didn’t want a piano for the holidays, or if someone else in the family misunderstood and they also purchased the same piano for their kiddo they can return their purchase no problem. Whether recreating movie scenes or just having fun, the whole family can play together and sing with this massive keyboard. The robust construction means there are years of fun for growing families. Cleaning is as easy as wiping it down with a damp cloth. The mat is soft and rough enough to wear socks or indoor shoes while playing with it. The keyboard is strong enough for rowdy youngsters to play with. It sits well in the living room. It’s easy to move around the house. The keyboard turns on at full volume. It can be roll up and taken on family trips. It is also a great holiday present for kids. This toy is loaded with activities that are engaging, educational and fun. It is a real-life record studio that comes with a microphone and voice changer. It has a scratch disk and a whammy bar that kids can use to make their own jams. The keyboard library holds over 40+ different sounds and music like Jazz and Techno. This colorful record studio can help an aspiring music genius find their voice. Kids can play alone or learn to coordinate and record a group ensemble. Kids will learn about tempo, rhythm, and melody while they play. This kit is safe enough for toddlers to play around with it. The batteries it requires are included and are secured in the unit so it’s difficult for kids to get to and mess with. The speakers are good and the volume is adjustable. It is small enough to be placed on a kids desk. They can play karaoke with their microphone. This is a fun piano that inspires creativity and sparks their imagination. It doesn't sound like a true piano. It doesn’t use a power supply, only batteries. It’s an actual record studio and not just a look alike toy. It’s fun to record an entire family song after everyone picks their role in the song. This is one of Casio’s mini keyboard models that is perfect for aspiring young pianist. Your Ludwig can rehearse a song at the table before dinner and smash it for the whole family to enjoy. Older kids can read the LCD display and make use of the huge library of sounds and songs. The sellers also have different bundle packs available to choose from like beginners bundles and intermediate bundles. Kids can learn how to play the piano using this keyboard. They can play their first recital in front of their family and during reunions. If they continue their practice and show a solid interest, then it may be time to move on to a professional music school. Or at least they can perform well in music class. This keyboard can change from piano to organ with the flick of a button. Kids can practice at least 10 rehearsal songs that come with this keyboard. There is a percussion track that kids can use as background sounds for their songs. There are over 100 tones, 50 rhythms, and 10 integrated songs. The keyboard doesn’t include an adapter. The adapter that it does require is available online and is sold together frequently with this keyboard. This keyboard is conveniently small and compact. It can be played with just about anywhere. The VTech KidiJamz Studio is the perfect starter kit for young music enthusiasts. This keyboard set includes five musical styles and ten different musical instrument sounds! A microphone provides two voice effects so your little one can experiment with funny voices and rockstar vocals. The light-up keyboard instructs children how to play pre-selected songs by illuminating the necessary keys in the proper sequence. A detachable music player and headphones feature a record and a playback feature so kids can hear their own work. Two turn-tables allow kids to make the fun record scratch sound (by rotating the one on the right) or change the genre of music (by rotating the one on the left). The VTech KidiJamz Studio is most suitable for children ages three to six years old. With so many fun features, kids will be jamming out in no time at all with this awesome studio kit! This studio kit will allow children to experiment with various musical stylings and instrument sounds. It will also increase dexterity, hand-eye coordination, and motor skills as kids learn to follow along with the light up keys to make beautiful music! It really drives home the basic principles of playing piano. The light up keys teach kids the proper sequences to be able to make music. Since little ones require concepts to be broken down into much smaller, more easily digestible sentiments, this is a great way to help them understand the beginnings of playing an instrument. This set has it all; the keyboard, stand, power supply, headset, and stool. It even has an LCD screen, record, and playback features. This style of keyboard lets musicians of all levels play comfortably and make wonderful music. The power supply also helps make practicing easier on the wallet. The headset lets kids practice without disturbing others. Kids that have a lot of homework can practice the late night before a concert without waking up their family. It will sound as quiet as someone typing on a computer keyboard. That sound is quite soothing anyways so they won’t be an interruption. Kids can play quietly in the daytime while their parents or siblings are trying to watch their T.V. show. It comes with 30 free songs. The keyboard is sturdy and the height is adjustable. The seat is adjustable and it is thickly padded for comfort. It comes with an easy to follow user's guide. Lots of popular pop and rock stars are included like Happy by Pharrell Williams, Just the Way You Are by Bruno Mars and many more. There is no microphone on the headset, just an awesome headphone. It is a great gift for beginning lessons for kids. It is good to get this keyboard first before deciding to purchase a grand piano. So many features are jam-packed into this little keyboard it’s hard to list them all. It has record and playback functions, 8 demo songs, several teaching modes, and 100 different keyboard sounds and rhythms. There is enough to keep advanced users coming back for more while still being user-friendly enough for novice pianists. This is a nice sized keyboard for kids of all sizes to use. A young kid can learn to play and read simple notes. Pianists around the world love how easy this keyboard is to store and transport. And the accompanying app makes this a mobile tech dream come true. The size and shape make it easy to store and take along on trips. 30 free songs are available for this keyboard from an iPad app. It can be used by students in 20 different countries. A warranty is available for purchase. The stand is not included. But it is available for sale online and is easy to find because it is frequently bought together. It can be attached to a tablet with music learning apps. The built in stereo speakers gives off nice audio. A bandle pack that includes the stand is available online for purchase and it’s easy to find. A keyboard that sounds great and looks good too. This classy keyboard is created for beginner to intermediate students. It is made to master the fine art of finger control and it has a detachable stand to hold music. It also includes a microphone, a headphone jack, audio input and output, and a power adapter. Kids can learn to sing and play as they have fun trying out the different background sounds. They can pretend they are playing a different musical instrument and record that sound too. The many different teaching modes make this instrument ideal for aspiring students. We love that this kids' piano is portable and takes batteries, which is awesome for road trips or when you are not near a power source. This is a simple to use plug-and-play MIDI keyboard. It is a part of the STEM Club family because this keyboard is an educational toy. It has everything users would expect including built-in speakers, over 100 songs and sounds, USB cord, metronome, memory fun pads, recorder, headphone, and microphone jack and the adapter. Plug this keyboard onto a monitor to follow the lessons along. The fact that this piano has a built-in system that teaches proper positioning of the fingers and hands, reading music, and that much more with quite popular tunes will assist your child in developing their piano skills. The award-winning educational software is included with the kit. A DVD is also available as a backup, just in case a computer is not available. Over 100 lessons are included. Students get feedback on notes they played correctly and incorrectly and are shown what should be played. It is not sturdy enough for rough play. Young kids who are too rough with this keyboard will break it. It is a great looking MIDI keyboard that has many features that help kids learn to play the keyboard. Kids as young as 8-years-old can learn to play from this keyboard. Music is a great way to soothe and entertain your little one. Studies show that babies who are exposed to music as infants or even while still in the womb are more likely to do well in school and have better levels of concentration and focus. Putting words to music is also a great way to teach new concepts, from self-care to vocabulary. The VTech Zoo Jamz is less a piano and more an entire music studio all in one. This brightly colored toy features 4 unique instrumental sounds that play a variety of different melodies and songs. A microphone allows your little one to sing along and hear their own echoing voice while also providing more than another 100 sounds and phrases to delight their ears. You can even join with the alligator from the Zoo Jamz Guitar and the lion from the Zoo Jamz Microphone (sold separately) by pressing the animal band button and performing your own concert! Bring the gift of music to your little one and watch as inspiration dances at their fingertips! Music can stimulate cognitive growth by presenting new words and phrases along with a cheerful tune to help your little one remember. This is an ideal way to build vocabulary and early language skills. A whammy bar and a scratch disc also await your child’s questing fingers to aid unique sound effects and enhance their all-important fine motor skills. Dozens of buttons pull strings, microphone, and other sound effects encourage your child to explore independent and creative play while sparking their imagination. This piano is more like an all-in-one music studio which cannot only entertain your little one for hours at a time but also introduces teaching concepts that can aid them in learning to actually play songs! Baby Beethoven itching to get at the keys? The Little Tikes Poptunes Keyboard is one of the few products on the market that is designed and manufactured specifically for little ones under the age of three. Slightly older children may also enjoy it but it’s meant to be safe and appropriate for toddlers. It has two modes of play: pre-set tunes and freestyle. With eight light up keys in both major and minor keys, little ones can play their own tunes or listen to pre-recorded favorites such as: Yankee Doodle, The Bear Went Over the Mountain, Do You Know the Muffin Man, Pop Goes the Weasel, and Baa Baa Black Sheep. The sound quality is great and the keyboard is perfectly sized for a toddler. With LED lights inside, kids will be stimulated on all fronts as they bang away on the keys! This keyboard is a great starter kit for toddlers. 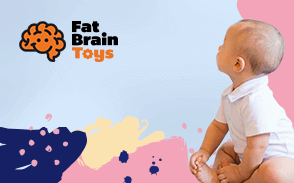 It makes noise, plays fun songs that they’ll recognize, and helps them to understand basic music principles like cause and effect while also developing their motor skills and dexterity. This is a fun little gadget for toddlers starting to venture into the world of music. There aren’t enough keys to overwhelm them but the eight keys on the board do function and allow children to make their own music. There are so many toys in the marketplace that it makes it hard to choose the right toys for kids. Some toys are not educational at all, they are meant to be played with for the sheer joy of the game itself. But other games can be educational and fun at the same time. A keyboard is the type of toy that is fun and educational. Kids learn so much when they try out a new instrument. Kids who play instruments learn how to read notes, practice their creativity, work out their arms and fingers, and learn how to use a handy tool that can potentially make them a little income in the future. Kids who practice on a keyboard can eventually book gigs and earn some cash, with the help of their parents of course. The keyboards on our list benefit kids of different ages. Some keyboards can be shared between older siblings because they are meant to be used responsibly. Other keyboards are meant for toddlers to play around with and are not meant to be treated like precious delicate equipment. Keyboards that make different sounds like animals and other instruments give kids a chance to explore various music patterns to see what tunes they like. They’ll get a chance to discover a bit about themselves as they start to see a pattern in their music. Kids can also have a chance to learn what it is like to perform in front of others. Stage fright is a nightmare for many performers to overcome. Stage artists dream about going on stage to show off a talent and entertain others. When kids play in front of family and friends, they are learning to overcome potential stage fright because they’ll be used to performing in front of others. As kids get older, their audience slowly gets bigger over time. It’s hard to expect people who never performed in front of others to all of a sudden perform like an expert in front of a full house. For kids who want to show off their talents but absolutely do not want to perform in front of others, then keyboards with playback and recording technology are perfect for them. Kids who don’t want to play in front of others can play a saved song from their keyboards for their family to enjoy and praise. Q: What should parents look out for when buying their kid their first keyboard? A: A few things to look out for are price, the age of the student, space and experience. If the student is a toddler, then a parent should ask themselves if their kid shows interest in learning to play. If they do show interest, then the new keyboard should fit comfortably with the child. Also, how much room in the house is there for a keyboard? Where will it go and is it worth buying an expensive piano for a beginner? Q: How early can kids start taking piano lessons? A: As soon as a kid can sit up properly, shows interest in learning and can focus, around the age of 3 years old is the youngest a kid can start lessons. But 5-year-olds have better focus so it might be worth waiting until then since lessons can be costly. Otherwise, buying a toy keyboard will be best for a young child to play with. When learning how to play an instrument, the first thing that everyone says is that having fun playing is the most important part of the lessons. Q: What are the benefits of taking keyboard lessons? A: Its cheaper than buying a large piano. Pianos require expensive upkeep like tuning and maintenance. The sounds a piano makes are wonderful and pleasant, but the problem is when a kid has received a gift like the piano and they lose interest, the investment has gone to waste. It’s better to buy a keyboard to start as it is cheaper and it doesn’t take up a lot of room. Q: What are the benefits for kids learning to play piano or keyboard? A: Kids who learn how to play the piano or keyboard gain several rewards. Their self-esteem increases, they get better test results, it increases their coordination and it helps them concentrate. Overall, kids become well-rounded, happy individuals. Many who practice piano, start to appreciate the classics like Bach and Mozart. Q: Why should kids learn to play instruments? A: Learning to play musical instruments does amazing things for people. It increases their memory capacity, makes them more organized, teaches perseverance and responsibility, the list goes on. There are lots of good reasons to learn to play an instrument. And kids who play become wonderful individuals in the future. Q: How do kids learn to play the keyboard? A: When learning to play the keyboard, the first thing to practice is good posture. Sitting properly at the piano will lessen the amount of injury from a strain in the future. Many students end up practicing for countless hours a day. And sitting properly at the bench will help them hit the correct notes at a concert. Q: Any tips kids should know about as they start to learn to play the keyboard? A: Have good posture and buy a piano bench. Posture is important when playing a keyboard or piano. And using any seat or no seat and hunching over to play is a bad idea. It will hinder performance when the player has bad posture and is in pain because of it. Q: How different is learning to play the piano from learning to play the keyboard? A: A piano traditionally has more keys than a keyboard. The piano has a deeper more enriching sound and its wooden construction brings an air of class and sophistication to just about any living space. But they are also big, bulky and cost lots of money to obtain and maintain. Learning to play on a keyboard is practical, cheaper and easy to move.